Visiting Egoli? 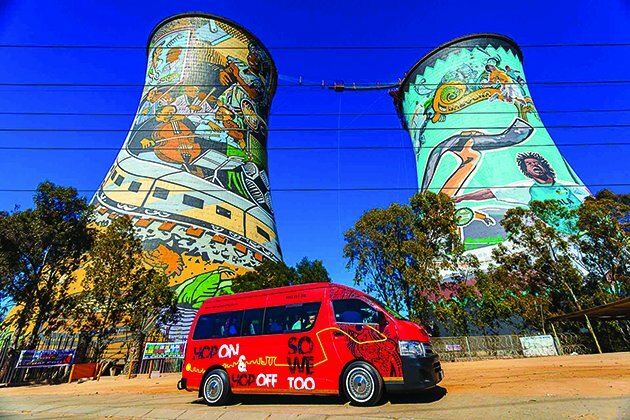 City Sightseeing’s two-day City Tour and Soweto Combo allows you to see the best of the Johannesburg central business district and surrounding suburbs, a wide range of interesting attractions, and South Africa’s most famous township, Soweto, so don’t miss this safe and convenient way to explore this vibrant city in comfort. The combination tour has two loops and you can hop on and hop off as many times as you like. Here’s a snapshot of some of the landmark stops that will make your visit to the City of Gold unforgettable. Catch the bus at the stop at The Zone @ Rosebank. Before you leave, grab a quick snack or have a meal at one of the many restaurants at The Zone, in the adjacent Rosebank Mall or at the upmarket The Firs. When you’re ready to go, the red bus departs from the Gautrain station and the first stop is Zoo Lake, one of Johannesburg’s best picnic spots, where you can also hire a paddle boat and see the lake’s many species of waterfowl up close. Nearby is the Johannesburg Zoo, home to the Big Five among its 320 species of wild animals, birds, fish and reptiles. Admission costs R80 for adults and R50 for children and pensioners. 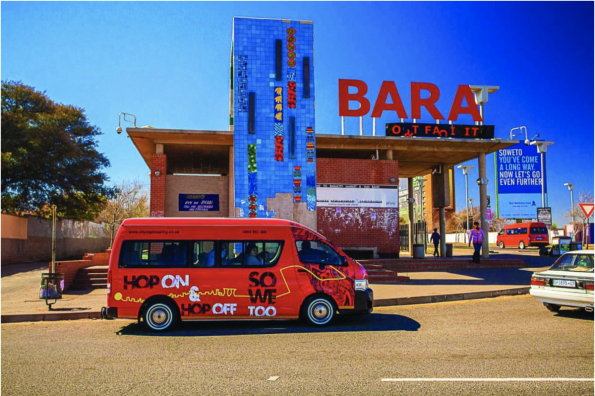 From the zoo, hop on the bus again and head to Braamfontein in the inner city to learn more about South Africa’s complicated history at Constitution Hill. 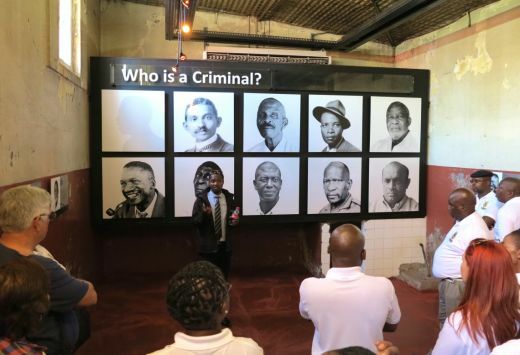 If you join one of the hour-long Highlights Tours, you’ll see where famous struggle heroes including Nelson Mandela and his second wife, Winnie Madikizela-Mandela, and anti-apartheid activists Joe Slovo, Fatima Meer and Albertina Sisulu were imprisoned. The tours cost R65 for adults, R45 for students and R30 for children, but your City Sightseeing ticket earns you a 25% discount. The Constitution Hill experience provides serious food for thought, so end the day with some light-hearted fun by hopping off at the SAB World of Beer for a tour or food and beer tasting event. You can get R5 off the R125 entrance price. If day one was all about culture and learning, day two adds adventure to the mix. To fully appreciate Johannesburg, you have to see it from its most famous vantage point. 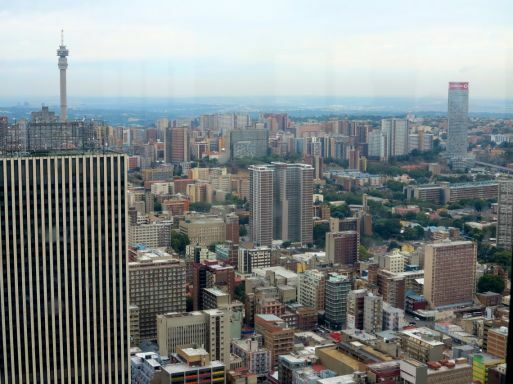 The Carlton Centre – Africa’ tallest building – is situated in the Johannesburg CBD and is one of the stops on the tour. Hop off here and for only R15, you can take a ride to the rooftop to enjoy the breathtaking views of the city and beyond. Another fun stop on this route is the Gold Reef City Hotel, your gateway to the popular Gold Reef City theme park. You can take it easy with some tame boat and train rides, but for a thrilling experience, try the scary 50m-high Tower of Terror with a speed of 100km/h on the drop. End the day with a tour of Soweto, with famous sights and attractions including Vilakazi Street – the former home of two Nobel Peace Prize laureates, the late Nelson Mandela and Archbishop Emeritus Desmond Tutu. Other interesting stops on the tour include the Chris Hani Baragwanath Hospital and the Orlando Stadium. If you’re an adrenaline junkie, you may want to hop off at the Orlando Towers, built in 1951 as cooling towers. 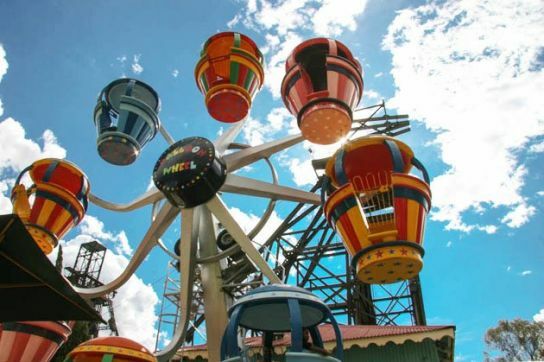 Today, they’re a colourful and prominent Soweto landmark. Choose between the 100m bungee jump between the towers, or choose the climbing walls on the side of one of the towers for something less scary. If you are travelling as a group, paintballing at the bottom of the western tower is a fun activity. The towers are open from Thursdays to Sundays and on public holidays.